When we talk about kayaking, we talk about oars powered simple small craft. It is classic to paddling down the river or lake and enjoying the nature without the interruption of motor sound or the smell of gasoline. With time, fishing kayaks have changed a lot. The main changes occurred in design, materials and production techniques. However, in most cases, the working techniques with oars remain the same. In the last several years, kayaking has changed its definition in many ways. You will find a kayak at high speed. However, the most significant innovation in kayaking is a pedal kayak. 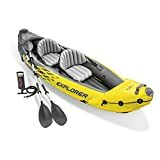 You will not find the pleasant kayaking experience while using a motorized kayak. So, the pedal kayak is gaining more popularity over traditional paddle kayak and motorized kayak. Traditional Kayak and pedal kayak both muscle power to run on the water. However, they use different muscle groups in your body. One of the most benefits of pedal kayak over the paddle kayak is that you can use your hands whenever you wish. However, to change the kayak’s direction you need to use your hand occasionally for controlling kayak rudder. Pedal kayak moves on water by transferring the force of your feet to the fins or propeller situated beneath the craft. Here, your leg is rowing instead of your hands and the propeller, or the fin is doing the job of the traditional oar. In terms of physics, in both cases, you use the kinetic energy of your body to move the kayak forward or backward. 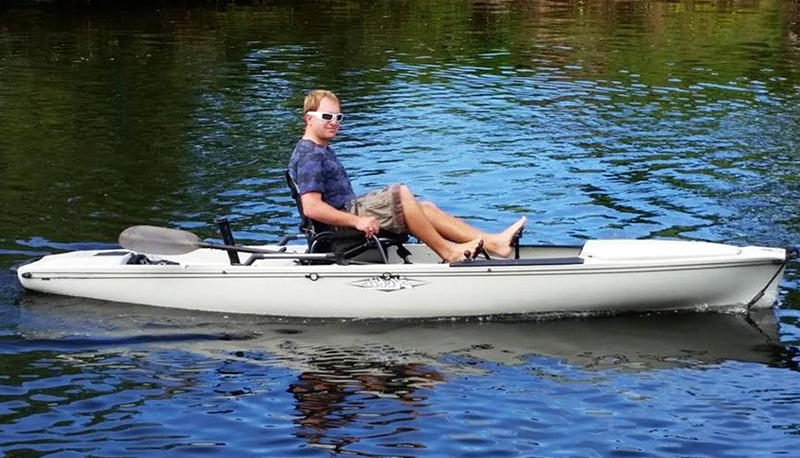 Similar to the bicycle, you need to use your legs and feet for moving the foot-powered kayak. However, there are slight differences between them. While cycling, the force goes down as you push down the pedal and at the same time you raise your body. For a pedal kayak, you do not push downward; rather you push backward. There are two different pedal kayaks available which work with two different working mechanisms based on production equipment. One is Mirage Drive based, and another is Propeller based. The first pedal kayak that appeared in 1997 was equipped with Mirage Drive made by Hobie Kayaks. A Mirage drive is a pedal-powered device that uses two identical fins that move forward, backward and sideways to make the kayak move. However, for different types of kayak, the drive engine remains the same, but the fin size varies. For different kayak size, there are different fins available. According to the Hobie Kayak turbo fin version is the most advanced one that utilizes less energy but provides faster speed on the water. Propeller-based pedal kayak uses Propel drive to move forward or backward the boat. The Native Watercraft first introduced Propel Drive based pedal kayak in 2008. The difference between a Propel drive and Mirage drive is that propel drive consists of rotational pedals that work with a rotating propeller rather than push pedals of Mirage drive. However, the kayak propeller is not as fast as the Mirage fins. The working mechanism is straightforward here. When you rotate the pedal, the propeller will also rotate. The propeller is situated beneath the kayak, so when the propeller rotates the kayak moves. As the rotation can be made both clockwise and anti-clockwise, the kayak can be moved forward and backward easily. The size of the propeller is not that big, and hence you do not have to spend a lot of energy to make it rotate. The faster you rotate the pedal, the quicker you will move. A motorized kayak uses a similar kayak propeller system. However, a motor is a way quicker, and it offers greater speed like a motorboat. The most important things a pedal kayak offers are speed and efficiency. 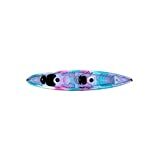 However, if you are an angler and you own a fishing kayak then maybe speed does not concern you. But, still who does not want to move faster when reaching a target point or when it’s time to return home? Moreover, a pedal boat also offers another important thing if you are an angler. You can use your hand for fishing purposes while moving the boat with occasional control of your kayak rudder. The major drawback here is the price. 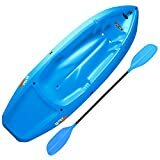 Most pedal kayaks are costly compared to the traditional kayak, and a cheap pedal kayak is hard to find. Another notable drawback is to move with a pedal kayak you need underwater clearance for the pedal drive. Of course, you can flip the fin against the kayak or pull the propel drive but, still, you need to cope up with this habit. The pedal kayak is the most significant innovation in kayaking. 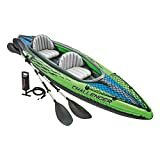 For a fishing kayak, these are most appealing as you can use your hand for fishing while moving the kayak with your legs and feet. You can buy any one of the two types of the pedal kayak. Mirage drive is faster and convenient to use while propel drive offers easy forward and backward moving options. Both of these pedal kayaks are efficient and useful. By now, we believe that you have a clear understanding of different pedal kayaks and their mechanism. If still, you have any questions, you can write to us.